As spring wears off and summer heat picks up, most gardeners find it rather tiring to work in the garden. That’s why you need to look for flowering plants––both annuals and perennials––that bloom profusely throughout the season without much pampering from you. Fortunately, you have a wide selection of summer bloomers to choose from. Petunias grown as annuals have one of the longest flowering seasons, right from mid-spring to late fall. Hybrid petunias with the trailing habit, commonly known as Purple Wave petunias, are extremely floriferous and versatile. First introduced in purple color, they are now available in several shades of pink, purple, blue and red, and also in creamy white. The tiny seeds of petunias are a bit difficult to start indoors, so buying young plants in nursery flats is your best bet. Set them out in well-draining beds in a sunny location once all danger of frost has passed, or grow them in containers. They are excellent for hanging pots. Keep them happy with regular watering and feeding. Zinnias love warmth, so they are reliable summer bloomers, filling the garden with long lasting flowers in jewel colors. You have the choice of small, single-flowered daisy-type zinnias and large pom-pom types, with everything in between. The hybrid variety Profusion Zinnias are a great choice since they keep blooming into fall. The dwarf types make good bedding plants and borders. Grow these annuals in a sunny location. They flourish in hot weather but appreciate regular watering and feeding. Gaillardia is another summer flowering plant that never seems to get tired of blooming all through the season and beyond. These North American natives come in bright yellows, often embellished with deep maroon and rust-colored centers. They are ideal for filling up less frequented areas in the garden because poor soil and neglect seem to make them flourish even more. They keep blooming whether you deadhead the spent flowers or not, but this exercise keeps them neat. These short-lived perennials live longer if they are divided every 2-3 years. There are annual gaillardias too, which can be easily started from seeds. The compact mounds of globe amaranth are usually covered in globular flowerheads all through summer and fall since they continue to persist on the plants. They serve as non-fading cut flowers in vases and bouquets. They retain most of their color when dry, so bunches are often dried in the shade for dry flower arrangements and potpourri. Grow these deer resistant, drought tolerant annuals in beds or borders for a long display of bright colored pom-poms. Purple is the most common and popular color, but you can find them in light pink, lilac, white and red too. Nothing can beat these perennials when it comes to filling up your garden with a profusion of long-lasting blooms starting from spring. The large flower heads keep coming all through summer and continue to adorn the plants long after the blooming season is over. Take your pick from the different varieties––Bigleaf, Oakleaf, Panicle or Smooth––or have all of them in different spots. Hydrangeas are propagated from cuttings, and they should be sited carefully taking into consideration the amount of sun and water they would receive. They prefer morning sun and afternoon shade in places with very warm summers but can take full sun for most of the day in cooler regions. Rose of Sharon is a perennial hibiscus for USDA zones 5-8. It blooms in various shades of pink, peach, and red. Individual flowers may not be as large as that of tropical hibiscus, but this hardy relative makes it up by the sheer profusion of the flowers they produce. They keep coming from late spring until the touch of frost kills all but the underground parts. Commonly called Tickseed, the low growing coreopsis is an old-time favorite. It is actually a perennial in warmer regions but is more often grown as an annual elsewhere. The yellow and gold flowers are borne on thin, long stems that hold them well above the foliage for good effect. Once they start appearing––towards the end of spring––they go non-stop until summer turns into fall. Deadheading ensures more flowers. Grow coreopsis in a sunny area. They are great as ground covers and bedding plants. Often grown in vegetable gardens to keep off pests, French Marigolds are well known to gardeners. They are compact in size, with a bushy, slightly spreading habit. Their yellow-orange flowers, often having varying amounts of red-maroon, usually have a single or double layer of petals. Their African cousins are taller and grow upright, producing large pom-poms in yellow, orange and cream. Both these types, as well as the petite ‘Signet’ marigolds, love warm weather and bloom continuously from spring until the first frost. Marigolds are easily grown from seeds, but the seeds collected from hybrids may not give the expected results. Use them as bedding plants in sunny areas. Regular watering is a must. Common yarrows with off-white or yellow flowers and weed status have undergone a transformation with several new color choices in shades of pink, cream, peach and red. They can add color and variety to your summer garden with their long blooming season. The fern-like leaves also are an asset, not to mention the medicinal value of the herb. Grow yarrow in full sun, but make sure that it stays within limits. The flat-topped flower heads look good in flower arrangements, so keep cutting them off to reduce self-seeding. These hardworking, ground hugging evergreen plants can brighten up any nook and corner in the garden with its clusters of tiny flowers that start appearing in spring. There’s no stopping them after that; the green mounds expand as they get covered in white, purple or pink flowers, so they are great as fillers anywhere in the garden or in containers. An additional attraction is that they retain their leaves throughout winter in USDA zones 5-9. Candytuft can grow in full sun as well as partial shade. Keep the soil moist by regular watering. No garden should be without this native flowering plant producing large, purplish pink flowers. The common name obviously comes from the prominent cones in the center of a single layer of slightly reflexed petals. New hybrids offer more color and form choices now. Purple coneflower is propagated by root or clump divisions. Plant this perennial carefully because it does not like being disturbed later. Flowering all through summer and into fall, its flowers can be harvested for making an herbal tea. In fact, all parts of the plant have medicinal properties. Silvery blue and spiky, the flowers and foliage of sea holly are strikingly different from those of usual garden plants. Consider adding it to your summer garden. Tolerant of neglect, drought, poor soil, and salt sprays, they are a great choice for xeriscapes. Flower spikes last long and look great in both fresh and dry flower arrangements. Grow as specimen plants or bedding plants in sunny areas. The delicate daisy-like flowers of asters in pinks, purples, lavender, and white bring cheer to your garden from early summer to fall. Their cut-and-come back nature keeps your vases full and flower beds bright. Asters can be started from seeds, but purchasing young plants is the best option. 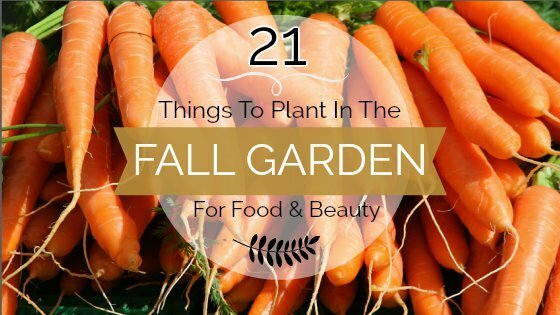 Plant them out in spring for summer blooming that usually extends to fall. Asters do well in both full sun and partial sun, but they can’t stand too much heat. Rich and moist soil with good drainage brings out the best in these beauties. Daylilies bloom from spring to fall. Each flower lasts for just one day, but a succession of them open up day in and day out, ensuring that your garden looks cheerful throughout. The flowers are borne on long stalks that rise above the mound of leaves, so daylilies attract attention wherever they are. That makes them the best plants to brighten any remote corner of the garden. Grow daylilies from divisions. The shorter hybrid Stella de Oro is great for small gardens. It also has the longest flowering season, spanning 5 months. This is a wildflower that earned a rightful place in our gardens by its large flowers and profuse flowering habit. The contrast between the bright yellow petals and the brownish black center disc makes these large, showy flowers all the more striking. Rudbeckia is a perennial, but the smaller Rudbeckia hirta can be grown as an annual if started early enough. In most zones they start flowering from early summer and continue on until fall. But flowering starts in fall and extends into winter in areas with hot summers. Whether you have cats or not, this aromatic plant makes a good addition to your summer garden. The bluish-purple flowers are tiny, but they are borne in abundance on long, slender, terminal flower spikes that stand above the silver-gray leaves. The flowering period is quite long, starting from mid-spring to fall. The plants are drought resistant and do well in both full sun and partial shade in USDA zones 4-8. They make great borders, requiring little attention once established. When the flower spikes are nearly spent, a good shearing usually produces a second flush. Another reliable annual with a long flowering season, snapdragons were an old favorite in summer gardens. The pretty flowers, in almost all possible shades of pink, peach, yellow and red, open in succession on terminal spikes. Their throats usually have a darker or contrasting color that adds to the variety. Taller varieties are ideal as a neat backdrop for other summer bloomers, while dwarf and medium-sized types make great borders and do well in beds. Start plants from seeds or cuttings, and plant them in spring. Pinch the young plants to induce branching. You get only as many spikes as the number of branches they have. This North American native blooms from early summer to fall, producing whorls of tubular flowers around the tip of each branch. Each spike may have two or more whorls arranged one above the other. Flower colors include red and various shades of pink. Being a perennial in USDA zones 4 to 9, bee balm can be planted in fall as well as in early spring. Choose a location with rich, well-draining soil. It does well in full sun as well as in part shade and attracts butterflies and hummingbirds. The flowers and leaves can be used to make an herbal tea. These old favorites are making a comeback in new avatars. You can now choose from large, dinner plate dahlias to small daisy-flowered bedding dahlias, with pom-poms and ruffled ones in between. There’s endless variety in solids, bi-colors, and variegation too. Although dahlias are perennials in warmer areas, reliably coming up from the ground in spring, they have to be started afresh from tubers in most parts of the United States. They can only go in the ground when the temperature rises above 60F, but starting them indoors a few weeks ahead of spring ensures early summer flowers. This wildflower is a North American native, forming large perennial stands, crowding out all the competitors. They are sometimes called bee blossoms, but the four-petalled flowers have more in common with butterflies. In a gentle breeze, the tall spikes carrying white blossoms appear to be covered in fluttering butterflies. Gaura is easily propagated from seeds or division of rhizomes. Apart from the most common white gaura, you can find colors ranging from the lightest pink to the brightest, most shocking pink. They are perennials with bold foliage and bolder flowers. They start blooming from late spring or early summer depending on the zone and continue through summer and fall. Sunny location and ample moisture in the soil are ideal for lush growth and flowering. Although cannas are not true lilies, they are grown from their underground rhizomes. In USDA zones 8-11, they can be left in the ground all year. But they should be dug up and stored over winter elsewhere. Cannas do produce viable seeds, but getting them to sprout is a challenge.